This 5 acre brownfield site is currently in use as a commercial depot with industrial buildings and large areas of open storage. A planning application for the development of 56 new homes with large areas of landscaped open sapces has been approved by Dacroum Council. The site, measuring circa 28 acres, is formally a golf driving range and pitch and putt course, but this closed some time ago with the land being left vacant and disused. Located on the edge of the urban area and situated immediatly opposite an overland train station, the land has potential for a sustainable and sensitive redevelopment to provided much needed new homes, open scpae and community uses. Purchased unconditonally by Ashill in March 2018. The site, which measures circa 2.5 acres, was formally part open storage and haulage depot, plus a residential dwelling. A planning applicaiton has been submitted for a high quality residential development to create 80 new homes. Purchased unconditionally by Ashill in February 2013. This 1.1 acre site was previously occupied by 12,000 sq ft of commercial buildings and is located in the predominantly residential area of north Ascot. Planning was obtained in February 2014 for 10 residential dwellings. This development has been built in association with Vanderbilt Homes. Purchased unconditionally by Ashill in October 2010. This 0.9 acre site was previously occupied by a 13,000 sq ft office building. Planning permission was granted for a new block of 28 private residential apartments in February 2011. This development has been built in association with Shanly Homes. Purchased unconditionally by Ashill in March 2011. This 2.5 acre site had existing factory and office accommodation of circa 80,000 sq ft and was previously occupied by a pharmaceuticals company. The site is located in the centre of Old Bexley only a short distance from the train station. Planning was obtained in September 2011 for 69 residential units. The site, currently a hotel complex and a golf course and agricultural land, is a joint venture with the landowner. •	An outline planning application was approved in November 2013 for 1,400 new homes, 4,355sqm of business floor space, 279sqm of retail floor space, a new pub, a new 2 form primary school, Community Centre, sports pitches, play area and allotments. This development is being built in association with a consortium of house builders comprising Bovis Homes, Linden Homes and Bloor Homes. The land is secured by way of 9 option agreements. Outline planning permission was granted in November 2013 for a scheme of 250 units. Reserved Matters have been approved for Phase I comprising 189 units and apartments, and also for Phase II comprising 61 units. This development is being built in association with Bellway Homes. Various land owenrships have been assembled to deliver the development. The land at Hanworth Lane is a residential allocation for 158 new homes. Works to construct the new school playing fields at Guildford Road opposite Salesians School will begin in the Spring 2019. The land, measuring circa 27 acres, has been included as a residential allocation in the draft Local Plan. A detailed planning application has been submitted for new housing, high quality public open spaces, and the provision of land to allow the expansion of the adjacent Primary School. Purchased unconditionally by Ashill in August 2008. Grade II Listed Building sitting on a 4.9 acre site in the village of Englefield Green, near Egham. Planning was obtained in August 2009 for 18 detached houses and the refurbishment of the existing listed building. Purchased unconditionally by Ashill in November 2009. Located on the outskirts of Frimley in Surrey, this large residential converted building sat in a site measuring approximately 1.5 acres. Planning consent was achieved for 9 detached houses in February 2010. The land, measuring a total of 50 acres, is part within Waverley Borough Council and part within Guildford Borough Council. An additional 29 acres of farmland to the south west of the site has been identified as a potential Suitable Alternative Natural Greenspace (SANG). The redevelopment of the land would provide much needed housing, as well as large areas of valuable public open space, within a sustainable location a short distance from the train station and town centre. 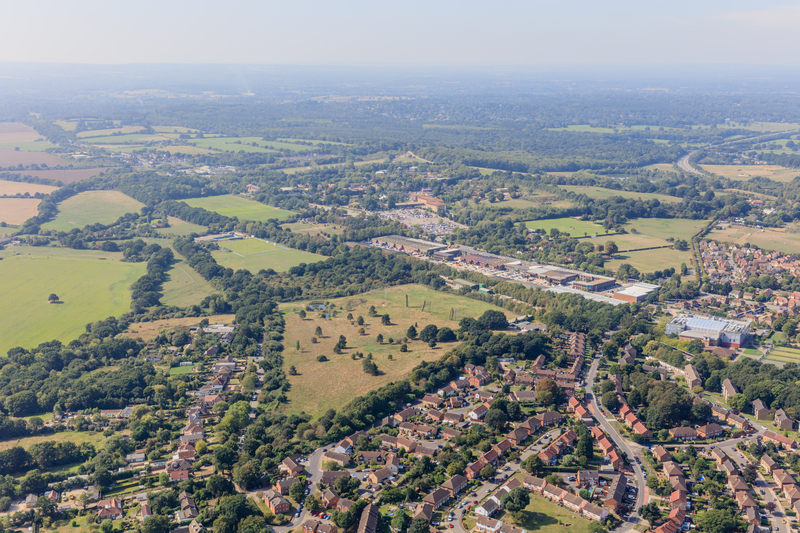 A planning application for 262 new homes has been submitted to Waverley Borough Council, and an application for the SANG has been submitted to Guildford Borough Council. The site, containing two former quarries, comprises 54 acres of land immediately adjoining the western boundary of Godstone. 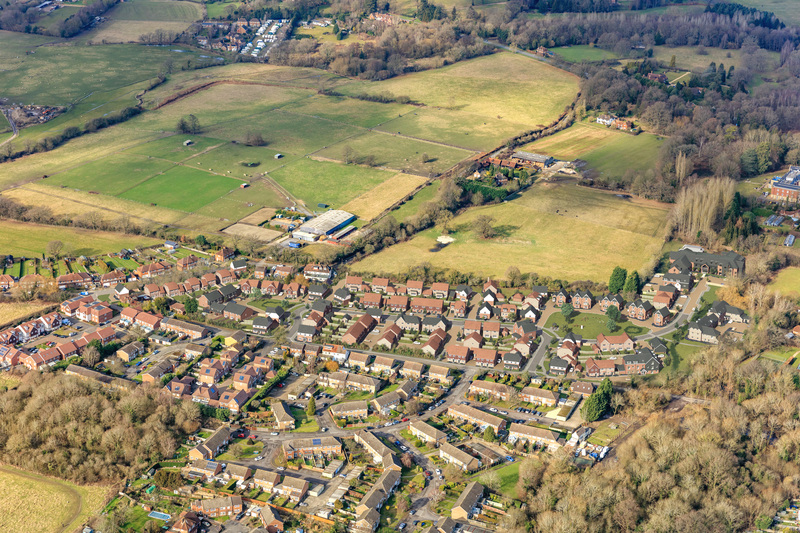 The land is being promoted through the Local Plan process for a sensitive development of new homes which compliments the village, and privides new public open spaces, woodland and ecological enhancements. Purchased unconditionally by Ashill in February 2018. The site is approximately 0.6 of an acre and was previously in use as a builders merchants. Planning was obtained in May 2018 for the demolition of the existing buildings and the erection of 18 residential units with new access, parking and landscaping. The development is being built in association with Riverdale Homes. Purchased unconditionally by Ashill in November 2015. Approximately 0.3 acres in size, the site comprises a former filling station, car showroom and residential dwelling. Planning permission has been granted for a residential scheme comprising a terrace of 7 houses. This development has been built in association with Oakford Homes. Purchased unconditionally by Ashill in December 2012. This 3.5 acre comprised 30,000 sq ft of existing commercial floorspace and 1.6 acres of development land, adjoining the Grand Union Canal. Planning permission was granted in October 2013 for two of the existing buildings to be converted into apartments and for the development of the vacant land to provide a total of 59 residential units. Purchased unconditionally by Ashill in March 2016. This site of almost one acre comprised two commercial buildings and a residential dwelling, and had been identified for residential development in the Neighbourhood Plan. Planning permission has been granted for a residential scheme of 17 units. Purchased unconditionally by Ashill in October 2011. Located in the village of Hurst Green near Oxted, this 10 acre site is a former industrial estate. A scheme comprising 172 houses and apartments was granted permission in November 2012. This development has been built in association with Taylor Wimpey Homes. This cleared site measuring 0.9 acres had detailed planning permission for new commercial units, however an extended marketing campaign showed that the site will be more suited for residential development. Planning permission has been granted for 17 residential dwellings. This development has been built in association with Lea Valley Developments. Purchased unconditionally by Ashill in November 2013. Former Glaxo Smith Kline pharmaceuticals, 52 acres in total with circa 150,000 sq ft of commercial buildings. A detailed planning application was approved in June 2014 for 73 new homes, with large areas of open space and amenity woodland for the use of residents and the public. A further application for 5 residential dwellings was approved in 2016. The development has been built in association with Bellway Homes. Purchased unconditionally by Ashill in February 2012. Located in the Furze Platt area of Maidenhead, this 7.5 acre site was formally in industrial use. Two adjacent residential dwellings were acquired to provide an alternative access. Planning permission was granted for 116 residential units in January 2013. This development has been built in association with Barratt Homes. Purchased unconditionally in September 2017. This site of circa two acres was previously in use as a commercial laundray but has now been vacant for an extended period of time. A planning application has been approved for a wholly residential scheme of 61 apartments with parking and associated landscaping. Demolition of the buildings onsite has begun with construction to commence in the sumnmer 2019. Purchased unconditionally by Ashill in January 2009. This 2 acre site was historically used as a private bowling green by employees of the adjacent Stag Brewery until its abandonment in 1991. The site is located in Mortlake near to the River Thames and the finishing post of the famous Oxford Cambridge Boat Race. Planning consent was received in March 2010 for a scheme of 76 residential units. Two acres of unused scrubland located within the settlement boundary. Planning approved for 22 new homes in 2015. This development has been built in association with Bellway Homes. Total site area of 2 acres, currently unused agricultural land. The land is being promoted through the development plan process to remove the site from the Green Belt as a residential allocation. Once the site is allocated a detailed planning application will be submitted for a sensitive housing development. Purchased unconditionally by Ashill in June 2014. 8.6 acre site with circa 60,000 sq ft of office and warehouse accommodation formerly used by a pharmaceuticals occupier. Planning permission was granted for 96 residential units in 2016. Demolition of all buildings and the ground remediation of the site has now been completed and the development is being built in association with Lea Valley Developments. The Garden Centre closed in Otcober 2018 allowing for a sensitive residential development. A detailed planning application has been approved for the first phase of 17 new homes with associated landscaping and with vehicular and pedestrian access onto Sandcross Lane . The site is being built in associaiton with Belwey Homes. Purchased unconditionally by Ashill in November 2012. This site, measuring 1.5 acres was formerly used as a nursing home, part of which as locally listed. Permission was approved in 2013 to convert the locally listed building into two houses and build a further 10 houses. This development has been built in association with Thakeham Homes. Purchased unconditionally in March 2017. This site is currently leased to Royal Mail as an operaitonal Delivery Office, situated just north of Reigate town centre, within close proximity of the railway station. This is being held as an investment site with longer term redevelopment potential. Option Agreement in place with the landowner. Brownfield site of 2.5 acres in the Green Belt. Planning permission was granted in September 2017 for the demolition of buildings and the development of 13 residential houses, vehicular access, car parking and associated landscaping. This development is being built in association with Runnymede Homes. Purchased unconditionally by Ashill in May 2018. This site of 2 acres within walking distance of the town centre and train station, comprising buildings and car parking no longer required by the college, and a former children's nursery. Ashill are working closeley with West Kent College to bring forward a sesitive and high quality residential development of the site. A detailed planning application has been submitted for a wholly residential scheme. Purchased unconditionally by Ashill in March 2013. This 18.8 acre site has historically been in industrial use. Planning permission was granted in January 2014 for 183 residential units and 3 acres of land earmarked for B1/B8 commercial use. The residential element of the development, 183 units, has been built in association with Redrow Homes. The commercial element has been replanned to provide a new primary school. Purchased unconditionally by Ashill in March 2015. This 0.9 acre site is located close to Tunbridge Wells town centre, formerly used as a milk delivery depot. Planning permission was granted for 58 apartments in 2016. The site has now been built in association with McCarthy and Stone for an assisted living scheme. Purchased unconditionally by Ashill in April 2017. The site, allocated for residential development, is located in Tunbridge Wells town centre and is currently in use as a builders merchants and yard. Two planning applications have been granted - one for the conversion of an attractive Victorian warehouse building into 12 apartments; and the other for a new build scheme comprising 31 units with associated car parking and landscaping works. The warehouse conversion is being built in association with Fry Limited and the new build scheme is being built in association with Brookworth Homes Limited. Total site area of 18 acres with 4 acres of hardstanding and buildings. The entire site is within the Green Belt, located on the edge of Virginia Water in the borough of Runnymede. Purchased unconditionally by Ashill in June 2016. This vacant brownfield 2 acre site, formerly used by a plant hire company, is located to the north of Wokingham town centre, and is surrounded by existing residential development. Planning permission has been received for 43 residential units. Promotion agreements in place with three land owners. Total site area of 13 acres located on the northern edge of Guildford. The land is a housing allocation within the Guildford Local Plan. 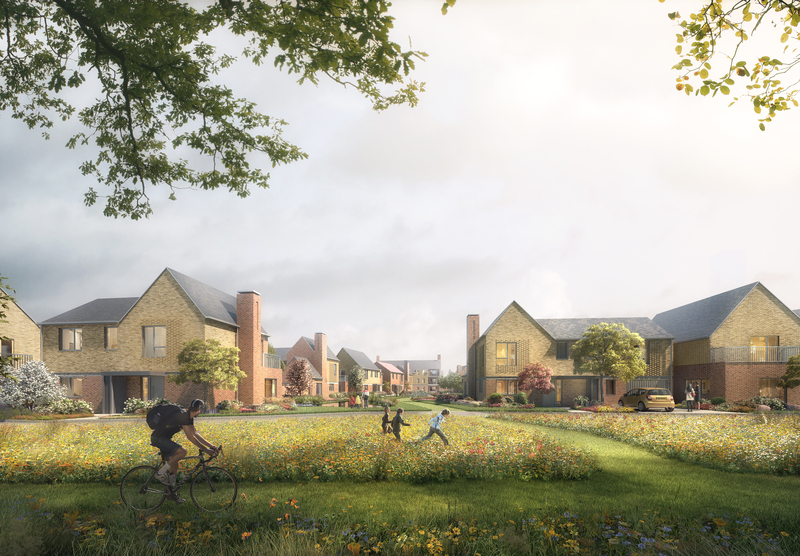 A detailed planning application has been approved for the development of 148 new homes and a 70 bed care home with associated car parking and landscaping. The development is being built in association with Taylor Wimpey Homes. Purchased Subject to Planning in July 2011. This 25 acre site is located in Darby Green near Yateley, with 9.5 acres of the site being used as a waste transfer station and skip hire business. Planning permission for 85 dwellings and associated SANG and allotments was granted in April 2012. This development has been built in association with Bloor Homes.